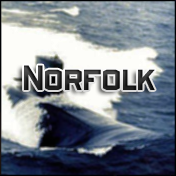 Norfolk is a basic, bold, military-font based on some of the US Navy’s ship and submarine lettering. Includes full alphabet, smaller-case letters, extended punctuation, euro. Includes regular, bold, italic, and bold-italic weights. This entry was posted in Font Updates on June 5, 2016 by Jaynz. Hello I would like to know the price for Norfolk Bold for commercial use and have more details about the license agreement.